Posted by Maria Perilli on January 23, 2013. On the heels of Google reporting its fourth-quarter earnings yesterday, we were immediately prompted to discuss the major shift to mobile for advertisers and the effects on cost per click (CPC). Google’s CPC increased approximately 2 percent in the fourth quarter, as compared to the third quarter, following several consecutive quarters of decline. However, the fourth quarter average CPC was still down roughly 6 percent as compared to the same period last year. Google has a difficult time making money from mobile advertising, making CPC a vital metric to watch. The company will see success in mobile if Google AdWords’ CPC appears to be bottoming out, or even rising. Cisco Internet Business Solutions Group (IBSG) released a study titled “Catch and Keep Digital Shoppers,” which revealed that one in three consumers use mobile searches to guide their purchasing decisions – up 20 percent from last year. Although Google continues to make money from its cash cow, desktop searches, it’s slowing down as the company has yet to figure out how to make the same profits on mobile devices. One of the main reasons cost per click is declining is because advertisers pay less for mobile ads, and more people are using the search engine on their mobile devices. Pay per click managers pay less for mobile ads because searchers are less likely to convert from their mobile device than they are from a desktop. Despite this, Google continues to try to improve its mobile products – from developing new types of mobile ad campaigns to building devices like the Nexus 4 smartphone. Executives are optimistic, expecting numbers to improve quickly with consideration for the rise in CPC in the previous quarter. 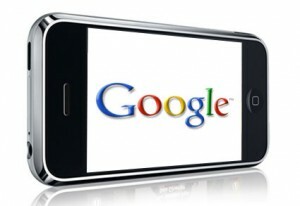 It’s only a matter of time before we know whether or not Google has proved its ability to generate revenue from mobile. Will you adjust your device targeting settings to take advantage of mobile marketing?